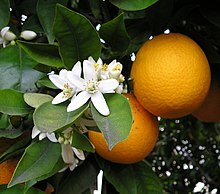 Florida has led California in citrus production for the past 70 years. But, that has changed now that Florida’s groves have been decimated by a disease called huanglongbing (HLB). The bad news for everyone is that this same disease is also threatening citrus production in California, too. In 2016-2017, California farmers sold nearly 4 million tons of citrus. Florida sold only 3.5 million tons during the same time period. The important thing to note is that as recently as 2011-2012, Florida was producing twice as much citrus as we did in California! To make matters even worse, California’s production of oranges was down 14% this season. HLB is threatening citrus growers around the world. Groves in Asia, Brazil, and the Dominican Republic, have been destroyed by this disease. The Asian citrus psyllid is a tiny insect that is no bigger than a grain of rice. This pest feeds on citrus leaves and stems, and can infect citrus trees with HLB. There is no cure for this disease, and the only way to protect other trees from HLB is to remove an infected tree. Researchers at UC Davis and UC Riverside are hard at work on solving this problem. If you think you have spotted the pest or disease on one of your trees, please call the free statewide pest hotline at (800) 491-1899.